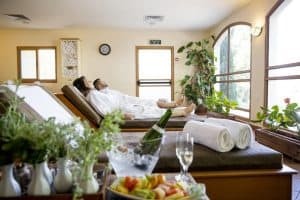 Featuring an outdoor pool, a gym and a spa and wellness centre, Pastoral – Kfar Blum is located in the green and tranquil Kfar Blum Kibbutz.. 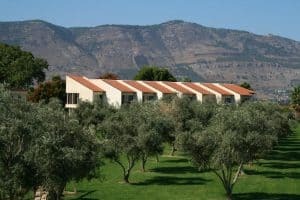 It offers air-conditioned rooms with mountain views and free Wi-Fi access. Rooms here will provide you with cable TV, a fridge and a private bathroom. Other amenities include a safe, an electric kettle and Nespresso coffee machine. Private bathrooms also come with towels and robes. Each has access to either a shaded furnished terrace or a garden. The Pastoral – Kfar Blum’s kosher restaurant serves international cuisine. Its guests can also relax in a bar or in a spacious lounge area. The nearest grocery store can be reached with a short walk. An array of activities can be enjoyed on site or in the surroundings, including hiking or kayaking on Jordan River. The property is a few minute walk away from a local bus stop. Kiryat Shmona is 7.8 km away. Hula Lake is at a distance of 14 km, Rosh Pinna is 30 km away and the Sea of Galilee is 43 km away.